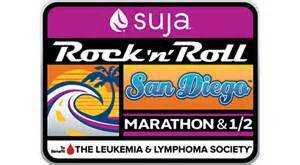 Do you want to hear about our Half Marathon in San Diego last weekend or get a status report on the Conestoga? Ok, I’ll start with the run report. I’ll finish with a Talking Cartoon Horse. We headed south from NorCal in the red IC 250 convertible, down the 101, then the 5 on Friday morning, getting into Los Angeles around noon. Friday was our rest day, so we spent the day wearing sunglasses and visiting the Hollywood Studios. 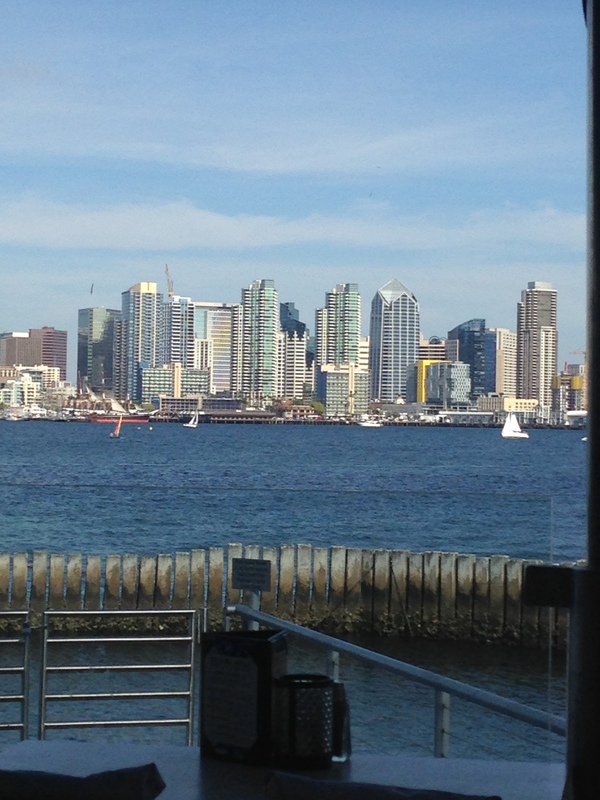 Saturday morning we headed out to San Diego via Interstate 5 to hit the running expo where we picked up our bibs and shopped for 3 running related items that none of the vendors at the expo had (! ): a new iPhone 5 shaped arm band (no joy), Gatorade Thirst Quenching gum (nope) and cushioned running socks (nada)! After the expo, we carb loaded on San Diego’s version of Cal-Mex (coastal inspired Mexican) in the Gaslamp District. Then tooled around Coronado Island ending up in a bar where we watched the San Jose Sharks win game 3 of the Stanley Cup finals. 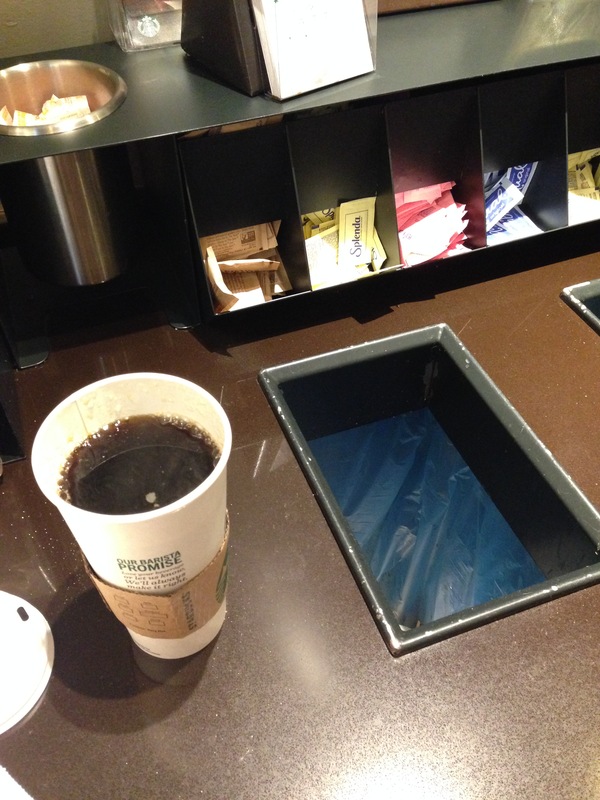 On the way back to the hotel to prepare for the Rock n Roll Half Marathon, we stopped at Starbucks to load up on breakfast food, only to learn that they planned on opening at 4:30 a.m. That drove our race day schedule. 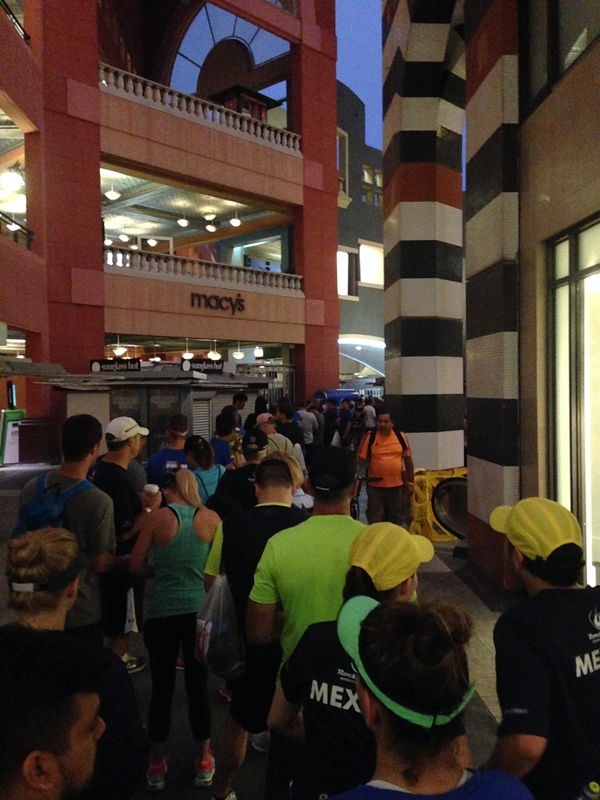 The alarm sounded at 3:30 a.m. and we were standing outside Starbucks at 4:25 a.m. with a few other runners. Then to the Downtown Parking Garage at Horton Plaza for the Shuttle to Balboa Park. Getting into the Garage and the lines for the busses were horrendous. 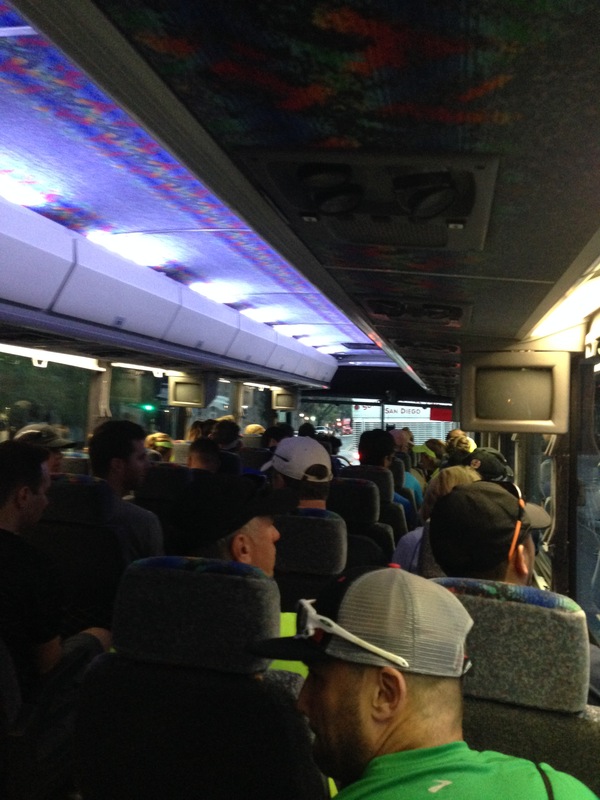 Note to RnR Organizers: Get your logistical sh#& together! We’ve run a few RnR races, and this was by far the worst as far as coordinating getting people parked and to the start line. Despite the hassle, we made it to the start about 5:45 a.m. for the 6:15 a.m. gun and we both needed to use the portable facilities (coffee before run, ahem). 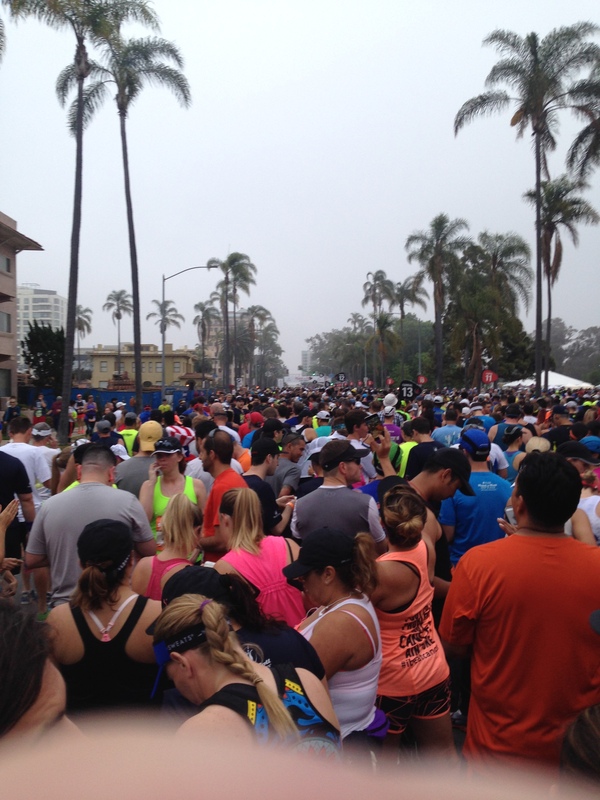 Well, the other 30,000 runners also had to use the portable facilities. And I’d estimate the line for each was 75 people long. 75 times 2 minutes per person = miss the start. So instead we shuffled on to our corral 12 to await the gun. Weather for the run was almost perfect: 63 degrees, overcast, no wind. Our corral crossed the start mat about 6:30 a.m. 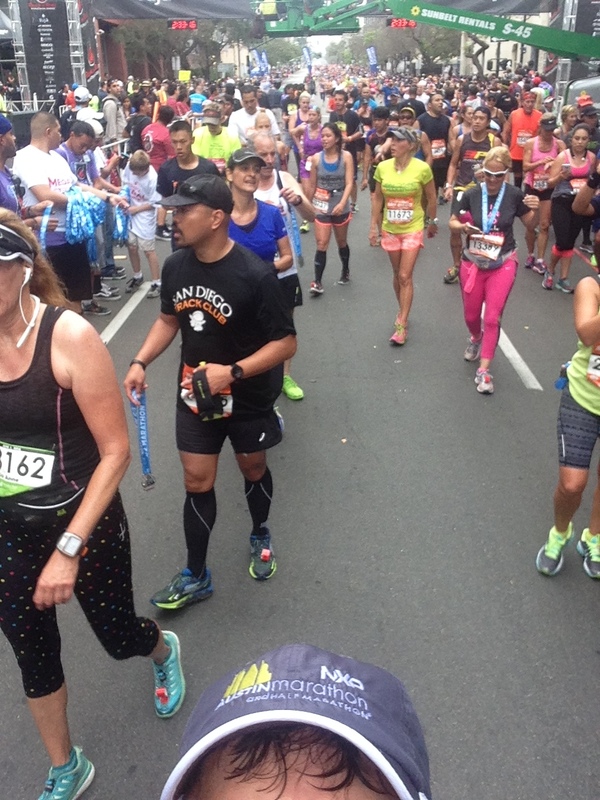 Unlike our Bay to Breakers experience, people were actually RUNNING! What a concept. Just after the first mile water stations, there was a line of portable facilities with very short lines. We made a 45 degree vector to take care of nature (the Garmin speeds up when people are passing by and you are just standing there). Please deduct about 3 minutes from our final times to account for the unscheduled stop (~2:11 and 2:23). The organizers could have been brutal when designing the course, but it was remarkably flat and fast. As noted, it started in Balboa Park, wound through some modest neighborhoods with good crowd support, through the hip North Park area eventually ending downtown, the final stretch starting at mile 11 being a nice, easy downhill. Thoughts about the run: The photos and descriptions of Army, Navy, Marine, and AF people KIA and the line of flags honoring them as held by service members and others between miles 4 and 5 were quite poignant. When you see the pictures of kids, most in their 20s, who have been killed in the service of their country over the last decade–it makes any pain you may be feeling pale in comparison. Service members, past and present, are our real heroes. The cliff at mile 9, yikes. Usually I appreciate a nice downhill late in a run. This one was the steepest gradient I’ve ever experienced. One almost had to rappel down the face of the road so as to avoid crushing the knees into dust. Rock n Roll runs usually feature local bands every mile or so. These are primarily for the benefit of the spectators as most runners have earbuds in, and in any event, at most you’d hear a 30 second snippet as you run by the band stand. At this race, again, you had the usual genres (rock, heavy metal, acoustic). But the best band was at mile 11–a 15 or so member Latin band with a full horn section. I almost stopped to salsa. I’m partial to an offshoot–Conjunto, a fusion of Spanish Ballads and German Polkas which originated back in the 1900s, at the place where we originated-South Central Texas. I digress. The band at mile 11 was a nice refreshing change. At mile 12, the San Diego Runners Club was manning the water station, and we saw old friends from our days in Houston handing out water there. We joined them for Brunch after the run in Old Town San Diego where we had our traditional Margaritas (I’ve been in CA too long–I almost typed Marijuana). A 5 person deep cheering crowd lined the final half mile to the Finish. As I crossed the finish at 2:11, the winner of the FULL marathon was being draped by an American Flag. 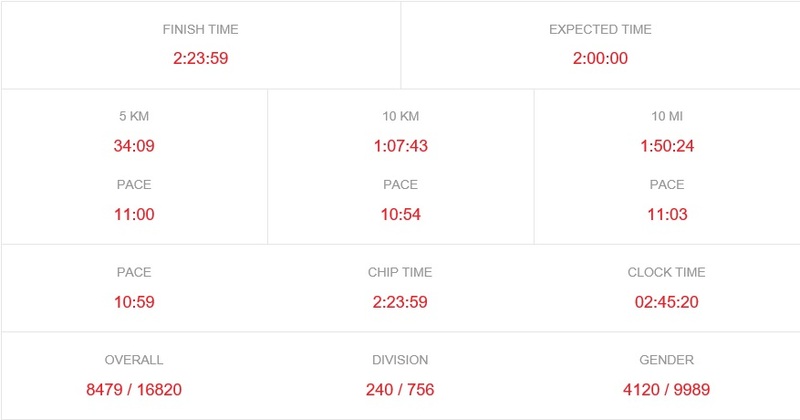 How is it possible that a human body (not mine) can run 26 consecutive 5 minute miles? 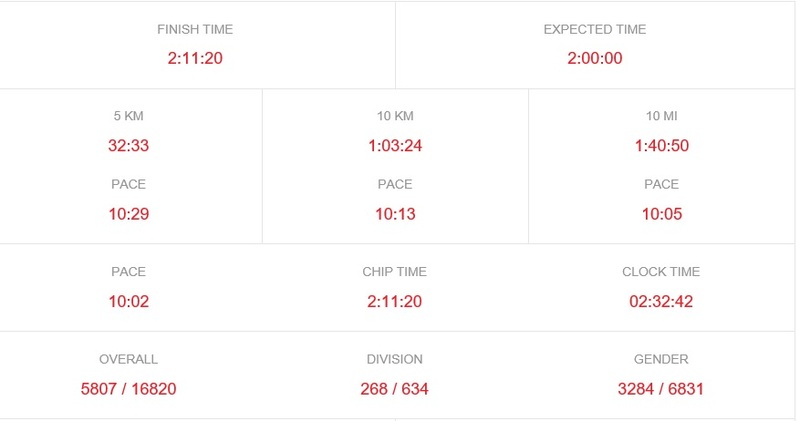 We performed just about usual, but better if you deduct the 3 minutes spent standing in place after mile 1. Check out the splits. Typically we run the first 5K under 30 minutes. But any run that (1) we finish (2) without injury is a good run. This was a good run. After brunch we took a leisurely 1 hour tour of San Diego Harbor on a tour boat. 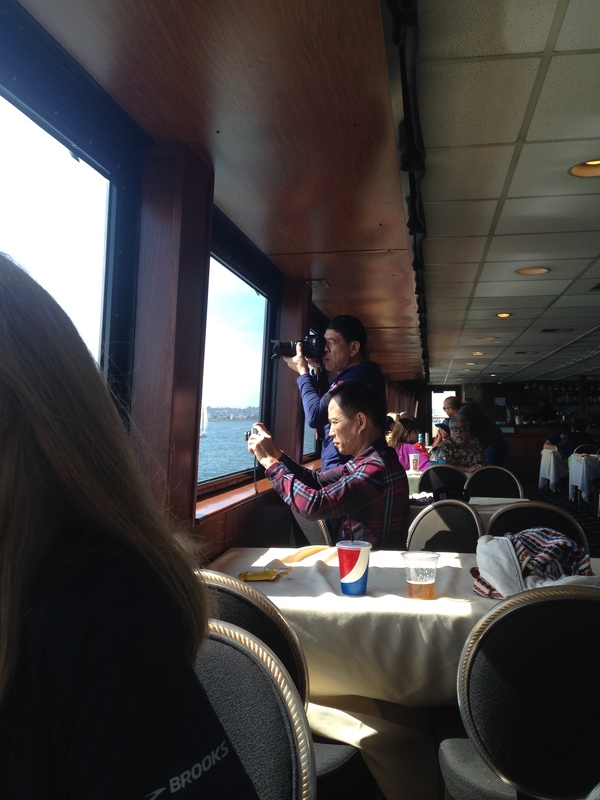 The Chinese tourists seemed bored by the whole thing–that is until the Captain announced we were passing a US Navy Submarine base on the right. Then the telephoto lenses came out. Stand down PC Police. Just making an observation. 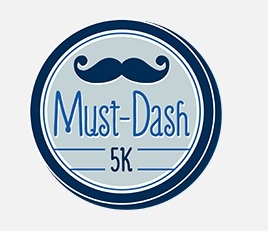 Next run, Must Dash 5K in Richardson Texas in 10 days. Now for the Conestoga update. Turns out our Warranty runs out at 15,000 miles, not 12,000 miles. That’s good news as we have some additional issues. The LED lights in the coach have been flickering off and on. According to the Interwebs, this is due to Winnebago using LED lights (from a foreign 3rd party supplier) that have a defective resistor built into the leads. Over time, current through the leads cause the resistors to open. 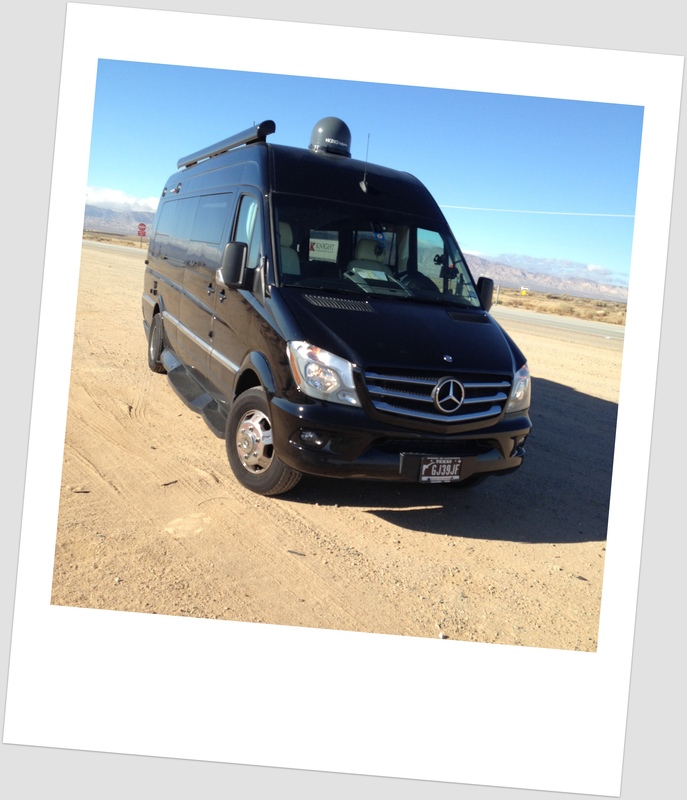 So they are being replaced at a Gilroy CA RV Dealer, See Grins. 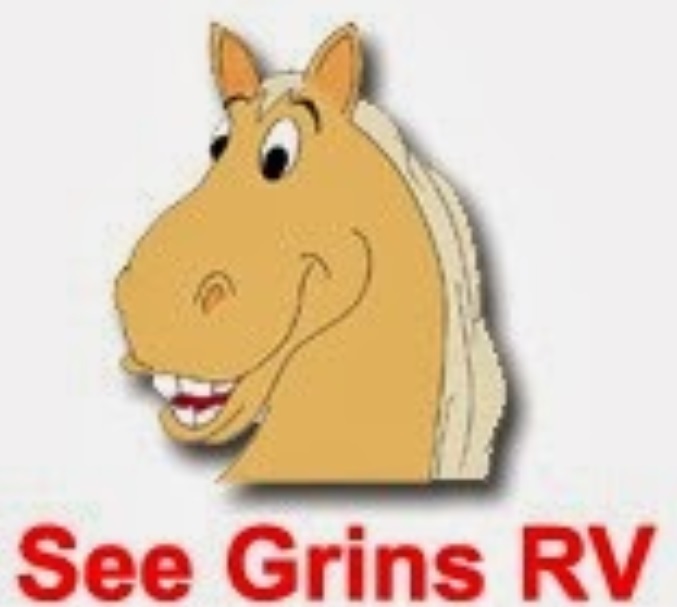 See Grins is a Talking Cartoon Horse. I don’t know what I think about having representatives of a Talking Cartoon Horse work on our vehicle. In addition to the LED lights, the King OTA antenna unit will not turn on. Hopefully that is just a bad fuse and not a wiring issue. We head over to See Grins tomorrow to pick up the coach as that is when it was promised to us by the Service Writer (Daniel V.) on Wednesday. We may be setting ourselves up for disappointment as Yelp indicates that the Talking Cartoon Horse seems to over promise and under deliver. Hopefully See Grins comes through as we’d like to do a quick weekend trip to Yosemite. Don’t let us down, See Grins! 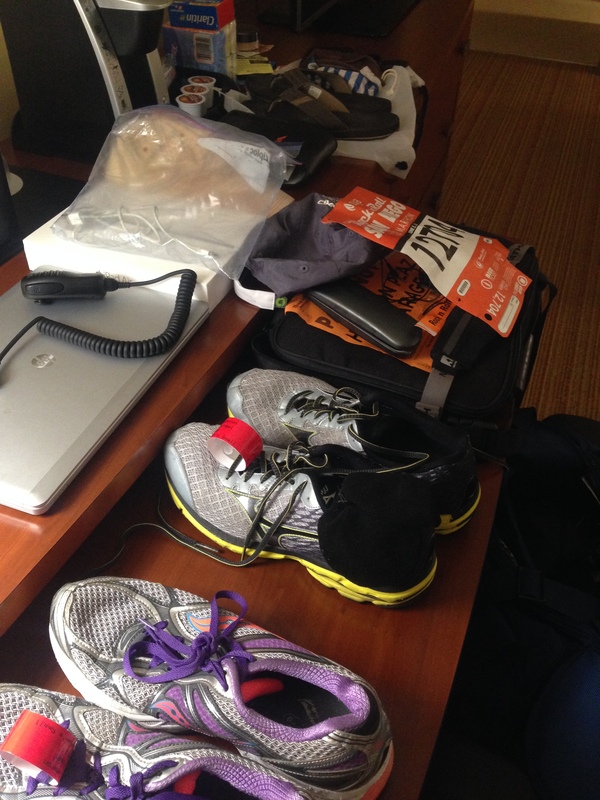 This entry was posted in California, Half Marathons, Winnebago and tagged Half Marathon, Roadtrip, Warranty, Winnebago. Bookmark the permalink.